There is a lot to love about Puyallup. Located southeast of Tacoma, this gorgeous town has a balanced combination of urban living and small town charm. Aside from the epic Washington State Fair, there are great restaurants, coffee shops, parks, and more! 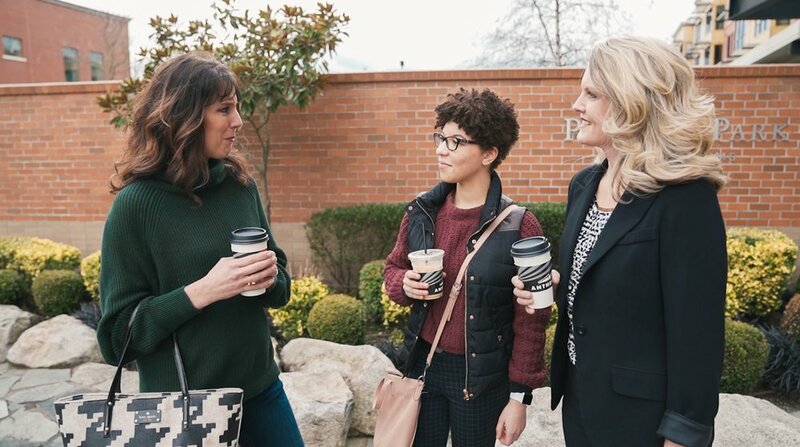 We met up with Shaylee, from Clever Media, to check some fun spots around Puyallup! Lucky for us, Shaylee is an expert on local coffee shops, and introduced us to Anthem Coffee and Tea! This coffee shop is awesome! We ordered a “white lave,” a white mocha made with lavender espresso - delicious! 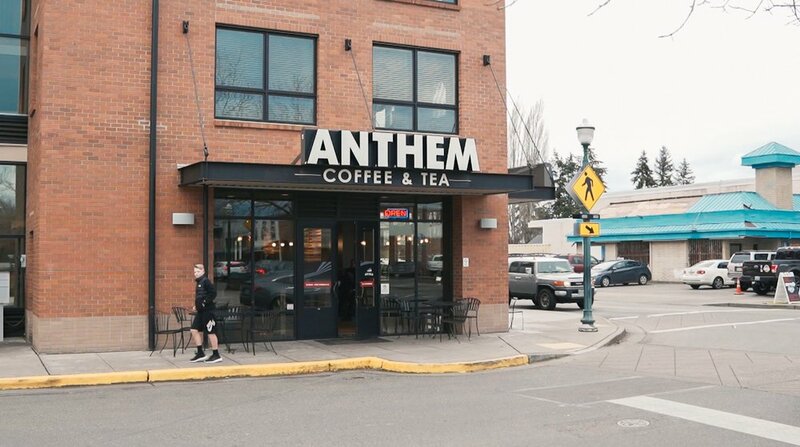 Anthem coffee shop is also one of the only coffee shops in Puyallup that carries oat milk, which is a creamy, neutral-tasting milk that you won’t want to miss out on. And don’t forget to check out Shaylee’s coffee instagram, @thecoffeefreak! Looking for a bite to eat after your coffee? Right across the street from Anthem is an authentic wood grill pizza stand! 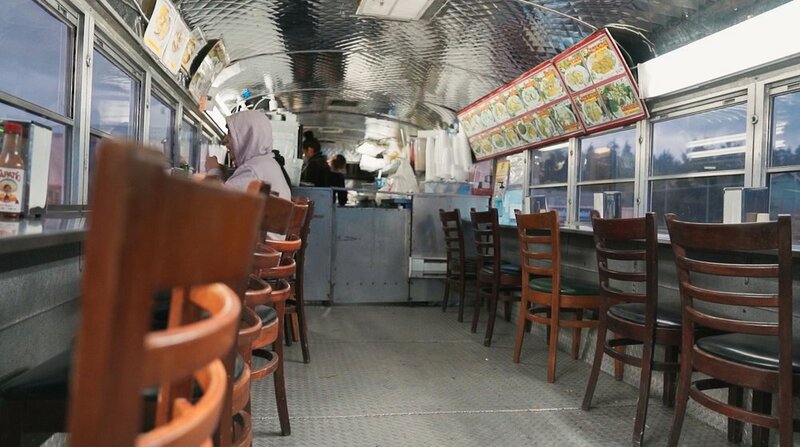 They’re actually in the process of renovating the area where the pizza stand is to be a fun community space for food trucks, pop-ups, and stands! It’s going to be a really fun hang out spot—we can’t wait! Pioneer Park is a gem. With a massive, manicured green lawn, paved pathways, and a large play structure, the park is a great spot to spend time outdoors with your friends or family! 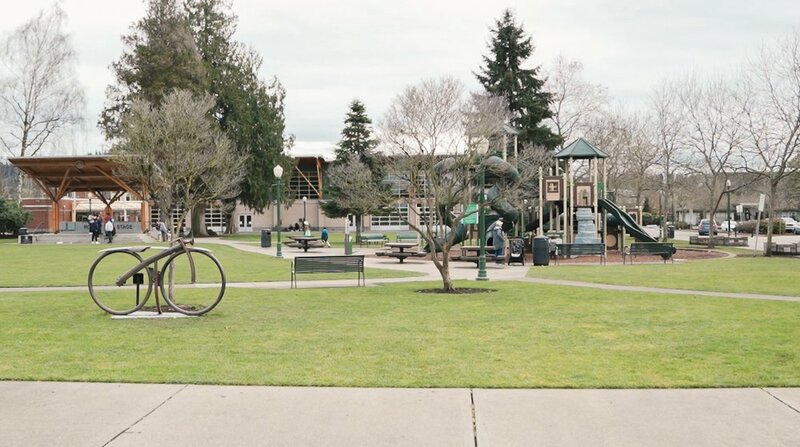 The Puyallup Library is also located next door to the park, and hosts great community events. And if you like music, there is a an outdoor pavilion that holds local concerts! Looking for a fun and exciting Saturday activity? The Puyallup farmers market in Pioneer Park is a great way to check out local vendors, food trucks, and more! The market takes over this huge area, and is a great place for the community to come together. There are many incredible places to eat in Puyallup! Here are just a few of our favorites that you’ll have to visit! 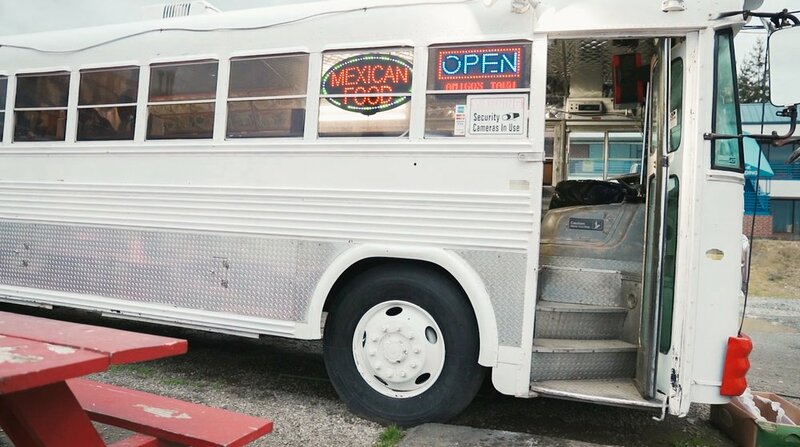 The Taco Bus: This local secret is a an experience you don’t want to miss — It’s literally a bus! They serve a delicious taco menu (even a beef tongue taco)! Who doesn’t love a good local whole in the wall? Trackside Pizza: This is an award winning pizza shop that serves delicious wood fired pizza. It is a fun family-friendly atmosphere and has some of the best pizza in town! Crockett’s Public House: This amazing restaurant was featured on the Food Network! You absolutely have to try their famous meatballs! Head over to Puyallup and stop by these great spots! We promise you won’t be disappointed!